Kris Gordon’s passion for music started early in life and added a link to a long chain of family musicians. When looking back on his childhood, he remembers his father playing the steel guitar, his mother and grandmother striking notes on the piano while singing gospel hymns, and his uncle picking licks on the guitar as he absorbed every hypnotizing note. By the age of 8, Kris joined the generational family jam sessions and local jamborees by playing drums and singing. This was the moment of realization that he was destined to pursue a life of music. With major influences such as Ronnie Milsap, George Strait, Keith Whitley, and The Eagles, Kris was inspired with creativity. Building on his intuitiveness and passion for performing and entertaining, he started a band comprised of family members and friends called “Kris Gordon and Southern Sky”. 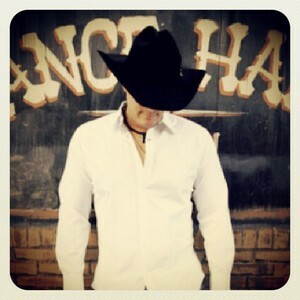 During his college years, Kris began touring nationally playing fairs, rodeos, and premier night clubs gaining a strong fan base. At last, he began appearing as an opening act for various artists including Kenny Chesney, Gary Allan, Tracy Lawrence, Tracy Byrd, Asleep at the Wheel and the legendary Chris LeDoux. While Kris was performing a showcase in Nashville, TN, he piqued the interest of Sony Music and Lyric Street Records. In response, he packed up and moved to Nashville in hopes of landing a record deal. Collaborating with Nashville musicians and songwriters, he honed his craft and trudged through a struggling musician’s life persistent with his destiny. In an unforeseen encounter, Kris met and developed a friendship with Singer-Songwriter and Record Producer Dean Miller, son of Country Music and Nashville Songwriters Hall of Fame member, Roger Miller. Their powerful combination of talent, experience, and musical savvy led Kris to recording an impeccable independent album as he decided to plant roots once again in his home state of Texas. Presently, Kris’ debut album entitled “Don’t Let Go Tonight” . His listeners will enjoy a medley of songs ranging from heartfelt ballads to cutting edge country. Audiences will not only be captivated by the genuine meaning of each song’s lyrics, but will be awed by the fusion of Kris’ emotional voice and energetic personable quality leaving a truly unforgettable experience. .. .. .. .. .. .. ..